When decorating a home, it’s those fabulous little touches that finish off a room and adds to a room’s story. For me, it’s all about a light, airy feel. When friends and family walk through my front door, they instantly notice that my home is relaxed, casual and inspired by the sea. Without fail, they comment on how good my house smells and they think I’ve been to a high-end specialty store for my favorite scent. They don’t know my secret is The Atmosphere Collection™ Fine Home Fragrance by Glade® and that the collection is available at my local Kroger. I adore the smell of jasmine, rose petals and lady apples. My go-to scent for my great room is N°1 Enraptured™ – Jasmine and Cedarwood. It’s a charming scent and I display the beautiful candle on my coffee table. 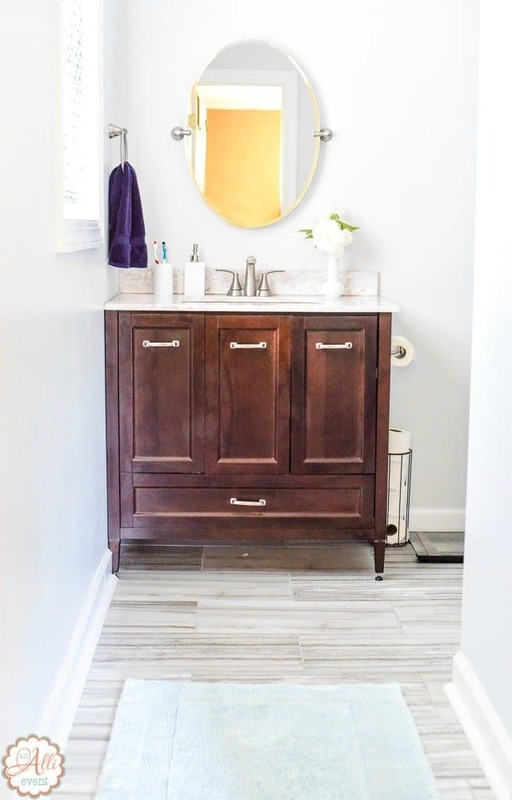 My coastal inspired bathroom continues the story of my love for the beach and is a warm and inviting retreat after a long day. My small master bathroom has been a long time in the making. Finally, I have a blank canvas because this room was recently gutted and totally redone, including replacing that old popcorn ceiling. For some reason, it took me a while to get around to adding the finishing touches. The only story my bathroom was telling was a tale of wanting to be complete. When it comes to my bathroom, I want it to reflect a calm, decluttered, and serene space that includes a small nod to the sea. Since the main color palette in my master bath is gray and light blue, I want to keep that calm and serene feeling by adding navy and a small touch of coral as the accent colors. Since I had a blank canvas, I decided to start with the window treatment and go from there. 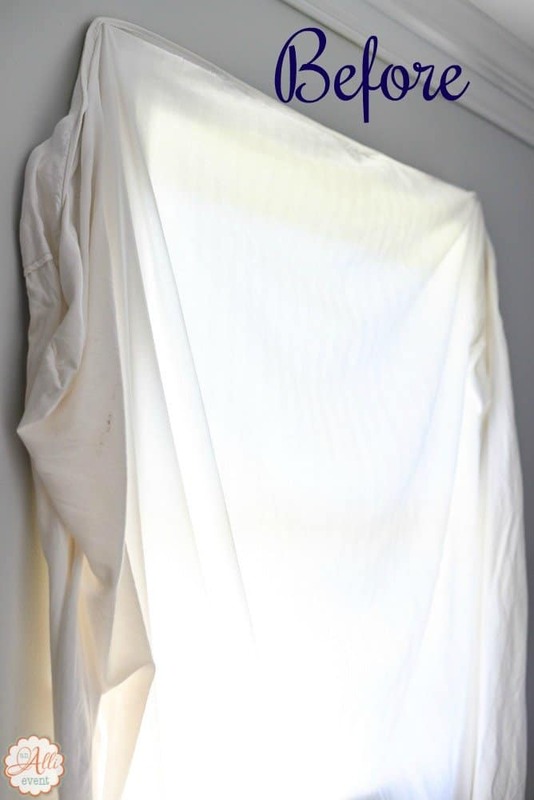 For months, the window in my master bath has been covered with a bed sheet. Yikes! I couldn’t find the type shade I wanted, so I decided to make my own. I transformed a plain vinyl shade into a beautiful window treatment. Remove the vinyl shade from the roller. Just rip that vinyl right off. Measure your fabric to fit the roller and leave an inch on each side and the bottom. 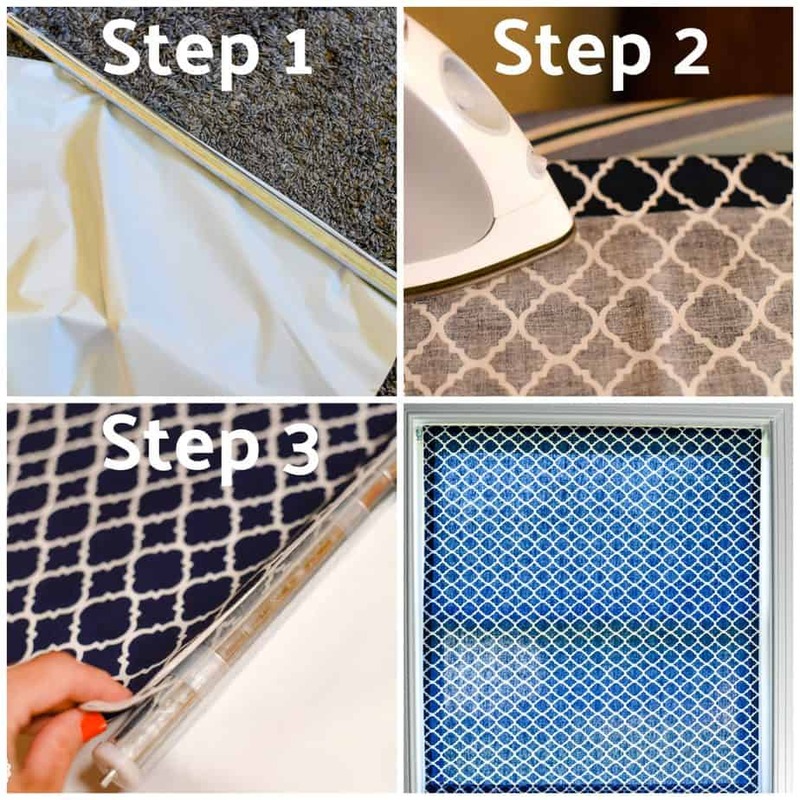 Fold the edges over and follow the instructions on the fusible bonding web to hem your window treatment. While you’re using the iron, go ahead and press the fabric to remove all wrinkles. Attach the fabric to the roller tube with spray adhesive. Let dry completely. I allowed mine to dry overnight to be on the safe side. Install the shade with the hardware! You now have a custom window shade. My master bath is small, so I have to come up with creative ways to add storage. The blank space to the right of the mirror is the perfect place to add shelving. I love the color. It reminds me of driftwood. 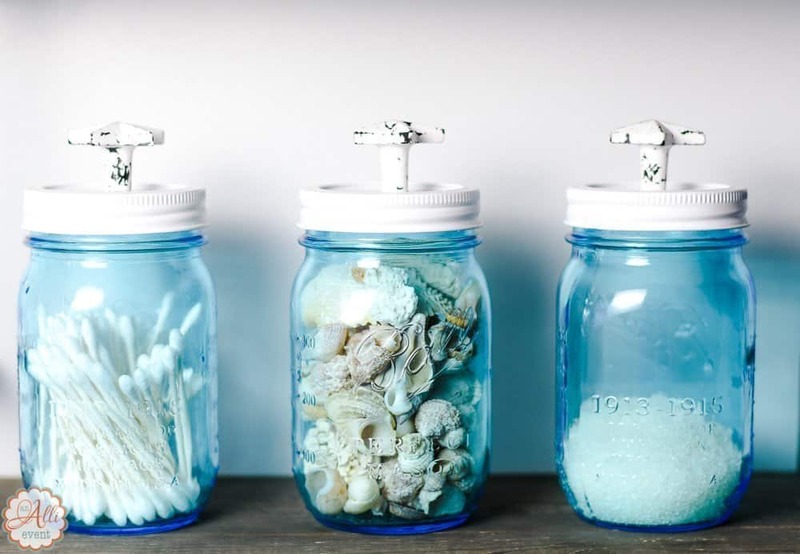 I have a pretty blue set of mason jars that I use to hold bathroom supplies. I spray painted the rings and lids white and added decorative knobs to dress them up a bit. Be sure and use heavy duty glue. The mermaid is a favorite piece because it reminds me of the sea and my love for long walks, fresh air, and plenty of sunshine. For me, the most important aspect of a finished room is the smell. Do your first thoughts usually turn to specialty stores when searching for the perfect high-end scent? I have a nice surprise for you! I found the perfect scent at my local Kroger. 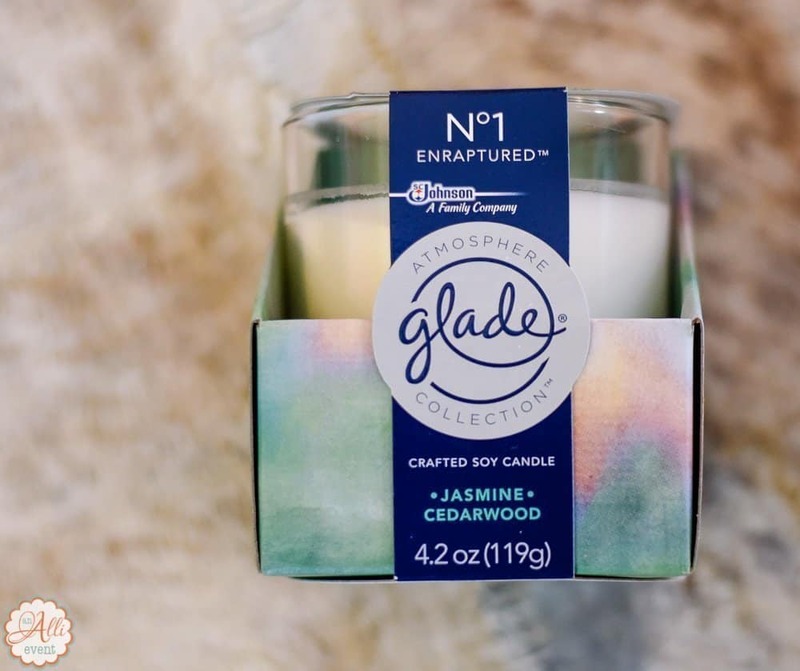 The Atmosphere Collection™ Fine Home Fragrance by Glade® is curated, crafted and layered with ingredients by world-renown fragrance designer Ann Gottlieb. I’m relieved that I don’t have to run around to all the specialty stores hunting down the perfect designer scent. For my coastal inspired bathroom, my go-to scent is N°3 Free™ – Coconut and Beach Woods. I love smelling the combination of Starfruit, Beach Woods, and Coconut in a heady, creamy cocktail. This scent completes the serene, calm and relaxing look of my coastal inspired bathroom and I’m relieved that my bathroom is finally finished and smells amazing. Helpful Hint: Atmosphere Collection™ Fine Home Fragrance by Glade® has an elevated home fragrance for every room. Click below to save $1.00 when you buy any ONE (1) Glade® Atmosphere Collection™ Product. Offer valid 8/13 – 8/26. Every room begins as a blank canvas and longs for a story. 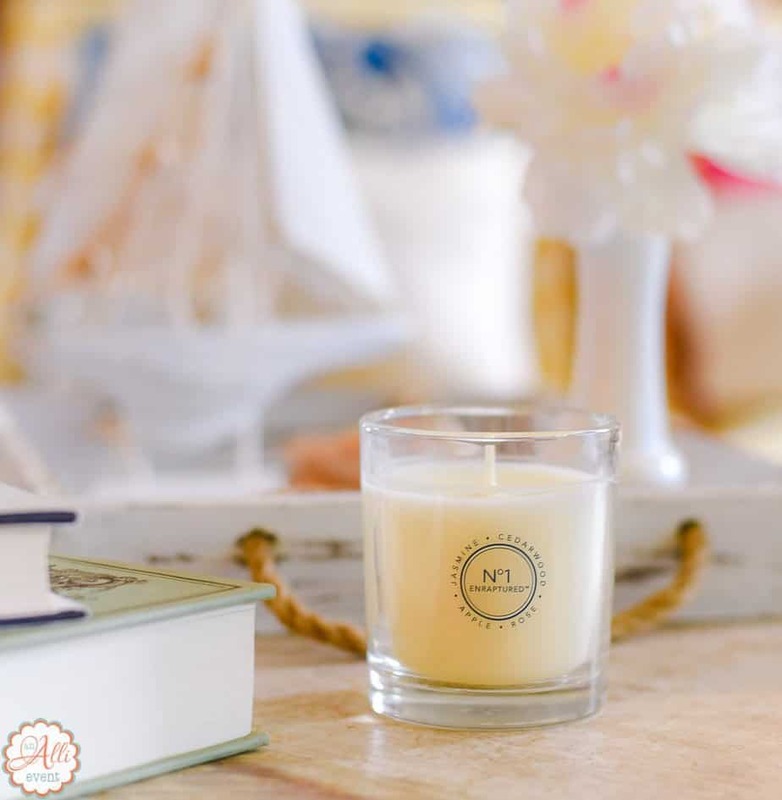 Since our home is a reflection of ourselves, finding the perfect scent to compliment your home and decor is essential. My coastal inspired bathroom is all me and is an expression of what I love. If your rooms could talk, what story would they tell? I think the only story my bathroom would be telling is how it is still needing some love. I love how you made your own curtain for your bathroom and the beach/sea life theme is incredible. um this is brilliant! 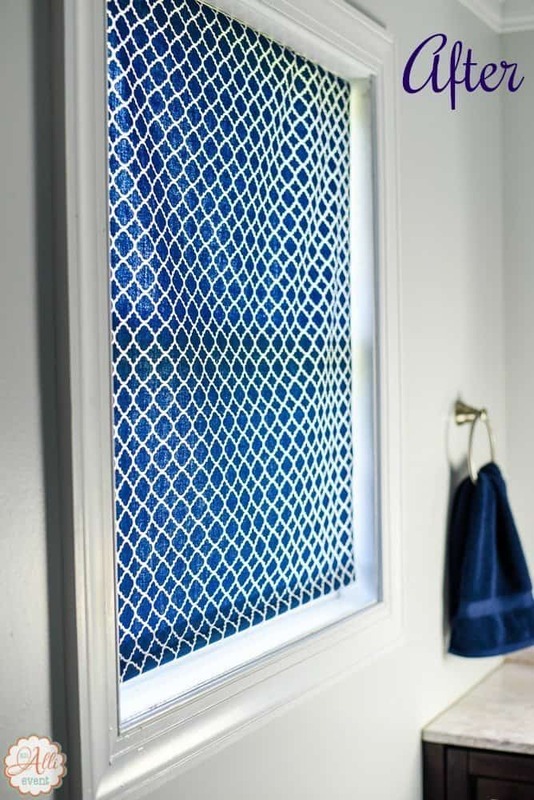 I have wanted to replace the old raggedy blinds in my bathroom since forever! Thank you for this no sew option because I am so dense when it comes to that kind of stuff! I totally need hire you to decorate my house. My bathrooms have nothing colorful in them really however we moved in is how it has stayed in the bathrooms. I love everything that you have done here. You really pulled it all together quite nicely. I have good home decor taste, but I struggle to pull it all together in a nice and neat bow like this. Making your own window treatment is a sure way to keep a cohesive look. These are some really awesome ideas, I have always lived the idea of a coastal inspired bathroom but never actually put a plan in action to create one, I think I need to start with Glade and those blinds! Love it so much Alli!! That DIY window treatment is really beautiful. But the sheet, though.. haha. We all have one of those not so pretty begging us to make it pretty!! Those shelves are so fancy and add a touch of something. Love the color! Also, I love the blue storage jars. I have a set of blue Mason that I use to store things for the bathroom too, but your DIY tops are just so pretty. And of course, that candle. I love candles and just bought two more yesterday. I think we have some Kroger stores in the area I’ll have to look into that. It’s great that your bathroom is completed now and is just the space you imagined. I love your DIY window treatment! It works perfectly in the bathroom and it turned out looking so professional. Love how your coastal inspired bathroom came out. 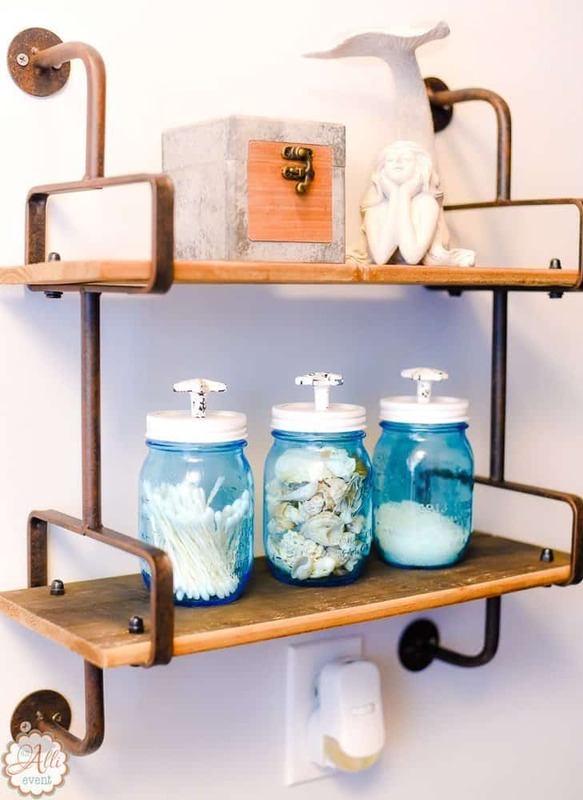 Love the idea of using those blue mason jar as storage containers. Fits the theme perfectly making it look like sea glass! Having only been in the new home a few weeks, my bathroom is telling an unfinished story. I seriously need to get it complete but haven’t made up my mind of a few things. I love your shade, super easy and your fabric is gorgeous. I keep a fragrance burning in the laundry room since that is where the cat litter box is. 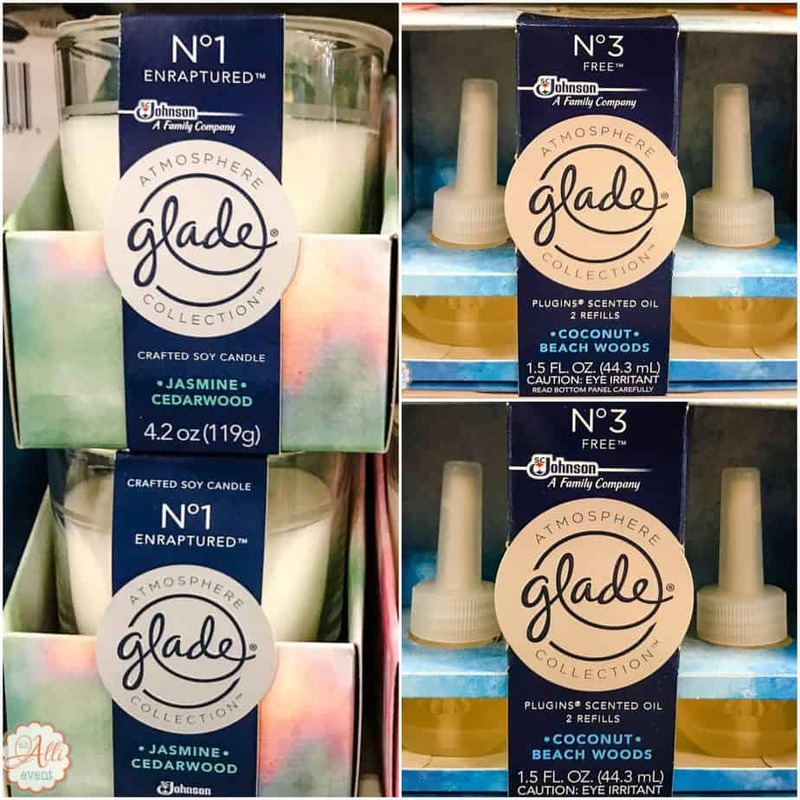 I’ll be looking for a Glade candle on my next trip to Kroger. You have awesome ideas! My favorite is the DIY window, it looks pretty cool! I was thinking about changing something in my bathroom and now I want to change everything hahaha. I love this bathroom! The colors are so beautiful and that wood shelf would be perfect for a lot of things! Really loved the them of your bathroom, It brings alive the spirit of the coast in all its beauty. I always believe that your rooms have a character of their own. I love the way you decorated your bathroom. A nautical theme is my favorite. I have nautical elements throughout my home. That DIY shade is gorgeous! I love this look. I have been shopping for a beach theme for our bathroom. Going very similar. I have never thought to try a DIY shade design. Looks great! The coastal feel is my very favorite!! I love this look – it’s so dreamy! That candle sounds amazing and I just love your bathroom! SO pretty and such great inspiration! You nailed it girl. This looks so perfect. I would love to be at the coast 24/7 but since I can’t, why not make the home a little more coastal! love this!! My master bath is beach themed. The beach is my happy place. The accents are dark blue, as in your bath. I’ve got all kinds of beachy paraphernalia in a nook that is in one of the walls. Our bathroom is a nautical theme, as well. This is beautiful! 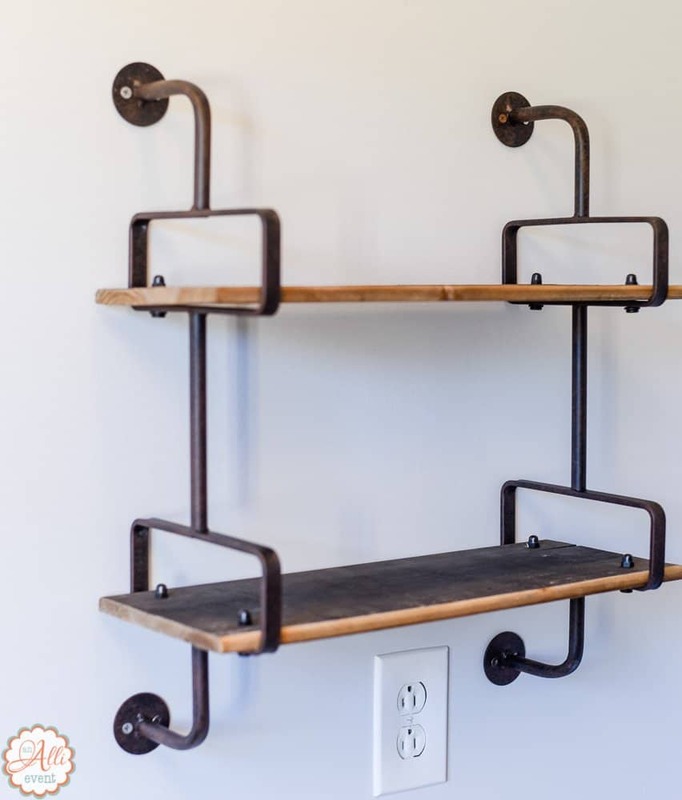 I absolutley love the shelving! Now I want flowers floating in my bath! What a beautiful way to relax. I love the blue mason jars and your window treatment is amazing. A coastal themed bathroom is so fresh and soothing. Now, don’t get me wrong, I love the shade! But that shelf! That shelf is pretty durn cool, too! Such a beautiful and yes, relaxing, space! When choosing furniture for a contemporary bathroom, wall-hung units are ideal as they create a smart, minimal look. Gloss finishes work well; for a bright and airy feel choose white, but for something more on-trend, grey is a very chic and sophisticated option. Eric recently posted…Laminate Vs. Hardwood: Which Flooring Suits Your Home?